SACRAMENTO, Calif. /California Newswire/ — Calif. Governor Jerry Brown today signed Senate Bill 1128 authored by State Senator Alex Padilla (D-Pacoima). The bill will encourage investment, job creation and economic growth in California by allowing sales and use tax exemptions on the purchase of manufacturing equipment in the advanced manufacturing sector. The bill will go into effect on January 1, 2013. “California is one of only three states that tax the purchase of manufacturing equipment which undermines California’s efforts to attract and retain manufacturing companies that create jobs. SB 1128 changes that,” said Senator Alex Padilla. “I thank Governor Brown for signing my bill that will help create jobs and spur investment in advanced manufacturing. With California’s unemployment rate still close to 11 percent, we must do everything we can to spur job creation and put people back to work,” said Senator Alex Padilla. Specifically, SB 1128 will build upon the current sales tax exemption program administered by the California Alternative Energy and Advanced Transportation Financing Authority (CAEATFA) by including “advanced manufacturing” companies in industries such as biotechnology, computers, (aerospace? ), appliances, machinery, furniture, fabricated metals and transportation goods. “California is a leader in innovation and we are uniquely positioned to benefit from high tech jobs coming back to the United States. In 2010 nearly half of all research and development venture capital invested in the U.S. was invested in California. Being a leader in R&D is great, but not enough. 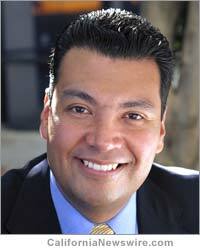 We need to make California attractive to the manufacturing sector as well,” added Senator Alex Padilla. Last year Congress approved and the President signed, the Reshoring Initiative, which focuses on bringing jobs back to America and launched the Advanced Manufacturing Program to promote investment in emerging technologies in order to create high quality manufacturing jobs. Recent studies have shown that the cost advantage of manufacturing overseas is rapidly decreasing due to rising wages and transportation costs. By expanding the CAEATFA program to include advanced manufacturing, California has an opportunity to attract new investment and compete for these jobs. In 2010, Senator Padilla authored SB 71 which allowed CAEATFA to approve sales and use tax exemptions on tangible personal property utilized for the design, manufacture, production, or assembly of advanced transportation technologies or alternative energy products, components or systems. For every million dollars the program allocates, it generates $10 million dollars in private investment in the state. So far the program has spurred close to a billion dollars in private investment and is projected to create 7,352 jobs. Senator Alex Padilla, 39, graduated from MIT with a degree in Mechanical Engineering. He currently serves on the Board of MIT and as President of the National Association of Latino Elected and Appointed Officials. He is Chair of the Senate Energy, Utilities and Communications Committee and represents the more than 900,000 residents of the 20th State Senate District which includes most of the San Fernando Valley in Los Angeles.